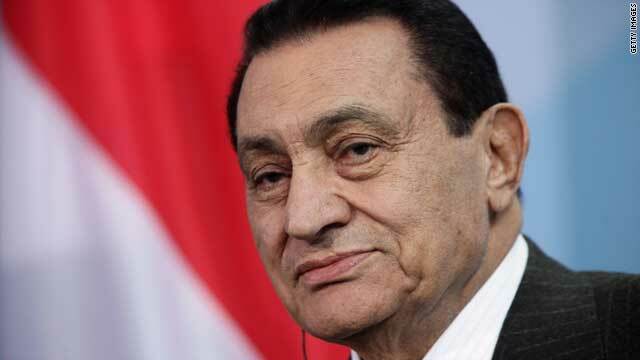 Hosni Mubarak is detained in connection with the deaths of demonstrators during unrest that led to his ouster. Cairo (CNN) -- Hosni Mubarak will remain in detention for at least another 15 days, as prosecutors further investigate the former Egyptian president and other high-ranking members of his deposed government, state media reported. Mubarak and two sons were detained in connection with the deaths of protesters during unrest that led to the president's ouster, an official with Egypt's Justice Ministry said at the time of their detentions. Prosecutors also have been investigating what properties and bank accounts the Mubaraks have. Meanwhile, former Tourism Minister Zoheir Garranah has been sentenced to five years in prison for squandering public funds and illegal profiteering, according to Adel Saeed, a prosecutor's spokesman. Garranah is the latest former government minister to receive a prison sentence in the wake of the demonstrations and Mubarak's resignation. Last week, Interior Minister Habib El Adly was handed a 12-year prison sentence for corruption. He will face a separate trial on May 21 for his role in the killing of protesters during the unrest. Former Finance Minister Youssef Boutros Ghali is also charged with squandering public funds. He fled the country on February 12, according to a written statement from the prosecutor's office. Several other former top government officials are under investigation for corruption, prosecutors say.